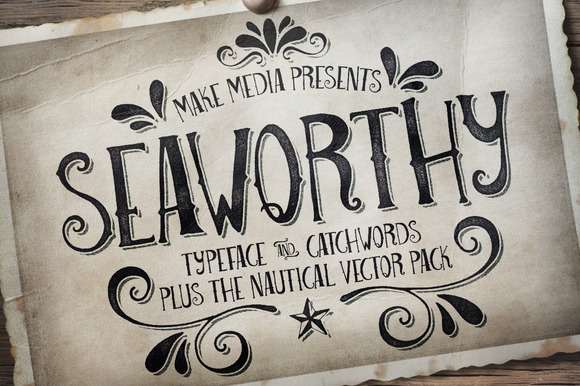 Seaworthy Typeface is a typeface created and published by MakeMediaCo. that contains Catchword & ornaments, over 80 hand drawn & one (white) Vector Texture File. It is suitable for wedding invitations, logos, packaging, flyers etc. A font description published on Friday, August 8th, 2014 in Fonts, MakeMediaCo. by Alexandra that has 8,647 views.